Clarium's Patrick Wolff is spinning out of the fund to form his own hedge fund, Grand Master Capital. The fact that Wolff, a former general manager at the firm, is leaving underscores another bad year for Clarium, a fund which sprung out of the gate with amazing (+57.4%) returns but then began performing terribly. This year alone Thiel has seen investors leave and his returns head into the double-digit negatives. We've heard from an investor that most of the money in Clarium right now is Thiel's, so the fund shouldn't be damaged by the loss of a star manager like other hedge funds have been when star portfolio managers leave. And the move must be amicable, because Clarium's founding manager, Peter Thiel, will seed the fund with $50 million. Wolff's personal returns are a mystery at this point, but if his ability to play chess says anything about his investing skills (and he's expecting it to - his new fund, Grand Master Capital, is named for Wolff's title as a chess champion and international grand master), get ready to be amazed. Wolff's ELO, his "batting average," is 2564, which is top-level. 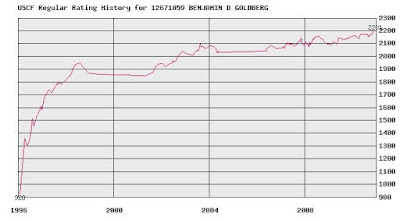 There's technically no "best" ELO rating, but if you're in the 2700s, you're among the best in the world. Wolff is currently ranked number 393 in the world. So in terms of vanity hedge funds names (which are usually names or initials or properties managers own), Wolff's is pretty awesome. The following is a tribute piece to the Nor'easters season, in the style of Kurt Vonnegut, whose library just opened in Indianapolis. All of this happened, more or less. The chess parts, more or less, are true. I have come unstuck in time. It is late summer. I am in the Boylston Chess Club, watching the Nor'easters take on the Cobras. The masters and I are blinking at the chessboard of Vigorito-Simpson, move 10. After 10.c5 Bxe5 11.dxe5 Nfd7 12.Qc1 Na6 13.Nd2 Qxc5 14.Qxc5 Ndxc5, Vigorito is down a pawn. He went on to win the game and clinch the match for the Nor'easters. So it goes. 1.d4 d5 2.c4 e6 3.Nc3 c6 4.e4 dxe4 5.Nxe4 Bb4+ 6.Bd2 Qxd4 7.Bxb4 Qxe4+ 8.Be2 Na6 9.Ba5 f6 10.Qd8+ Kf7 11.0-0-0 b6 12.Bc3 e5 13.Bd3 Qxg2 14.Ne2 c5 15.Qd6 Bb7 16.Ng3 and Marc continues with a queen sacrifice that leads to a Game of the Year. Unfortunately, future memories are as unreliable as past ones. When the game actually happened, IM Zilberstein went along up to 16. Bf5, lost more prosaically, and Marc only won Blog Post of the Week. That may have been worth more money. So it goes. I was pretty mad those two days later when I learned Marc's future memory was all a pack of foma. Some might wonder how a Nor'easter and a Blitz player could have talked about upcoming matches without tearing off a jugular using bare teeth. The idea that the Boston teams hate each other is all a pack of foma, too. Some other time in the future, the Nor'easters will also be well prepared against the New York Knights, anticipating the games on Boards 1+3 to spin the strong New York squad down to 4th place. So it goes. The Blitz are not the only team to prepare well. Now I am watching the Blitz play the Nor'easters in Week 4. I'm in London. While I am lecturing at University College London, projecting behind me is this position from Cherniack-Krasik, Board 4, Week 4. 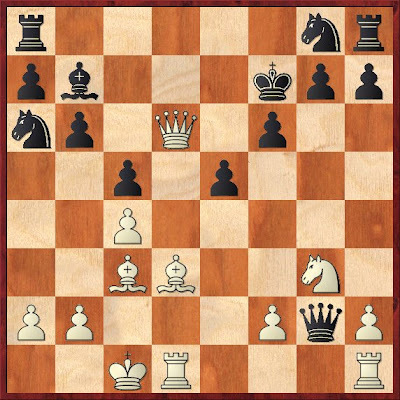 After 17.Qb3, Alex loses a pawn to Bxd2 18.Nxd2 Rxe2 19.Rxe2 Nxd4. He goes on to draw the game and the match. So it goes. It is the only draw during the regular season that New England suffers. I talk to a Tramalfadorian about what it is like to watch a chess game in four dimensions. It replies, "Consider what it is like to watch the chessgame in two dimensions, on your ICC, for example." "Now consider what it is like to play the game in 3-D, on a board, with pieces." "OK. I get that, too." "Is there a difference in these two experiences?" "Not really. They are pretty much the same. The vision and the touch are different. Otherwise, the problems are the same." "Watching the chess board in 4 dimensions is nothing like going from 2D to 3D." That is a jerk way to respond, so I ask for some clarity. "For us, we saw the Blitz-Nor'easters week four match simultaneously with the Blitz-Nor'easters Semi-final match. The combinations that were happening in the other dimensions blew this Tramalfadorian's mind. That, and the parallel of the two Boston teams getting a draw in both matches. " Of course this is all a pack of foma, but the Tramalfadorian wanted me to like it. They are not very good flirts. Sometimes I wonder if the Internet could ever acheive consciousness. All those fiber optic neural connections firing. Ones and zeros slithering around coaxial cables to make a brain that becomes self-aware. I ask the Tramalfadorians about this. "Have you read an internet chess blog comment section lately? Better chances for the mud of the Earth to become intelligent." Since Christianity tells us intelligence did spring from the mud, I take that as a maybe. When I'm stopped on the street, people ask me what I'm working on. I tell them a summary of the greatest team in USCL history. They always ask me what the USCL is. I tell them it stands for the United States Cricket League and that I am a fan from Sri Lanka. I don't, but trust me, this is a better method for getting a date. If you are reading my post, better try this foma over the truth. Let me know how it turns out. In the Eighteenth Tweet of Bokonon, the Prophet says, "Break all the records to prove you are the best, and you will be hated by all the rest." So it goes. In the Nineteenth Tweet of Bokonon, the Prophet says, "Make your own luck, or you'll be a sitting duck." In the Twentieth Tweet of Bokonon, the Prophet says, "When you win, just sit quietly and grin. The loser gets to speak about how you are weak." Maybe the losers only remember the future when they are better than you. Or maybe they are like the Tramalfadorans, winners in the other dimensions. I am stuck now in other people's dreams. One dream I can see is this position from Hungaski vs. Sammour Hasbun in Nor'easters-Blitz Semi-Finals. Chess dreams can be the most painful dreams. Chess dreams and the ones where you are standing in your underwear in front of the classroom. 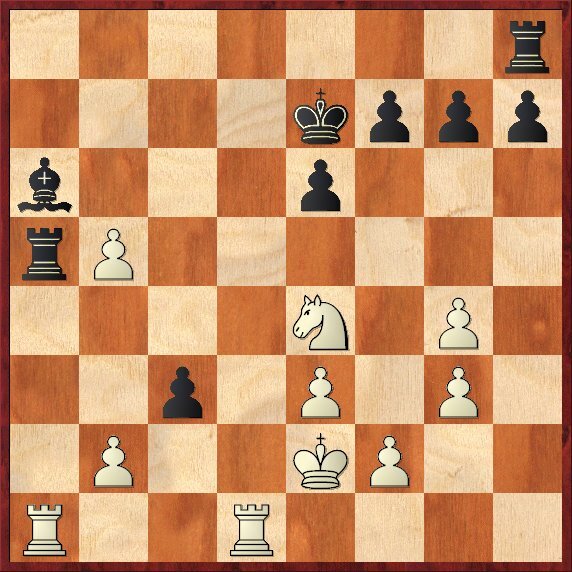 The win for Black is 23...Rxa1 24.Rxa1 cxb2! 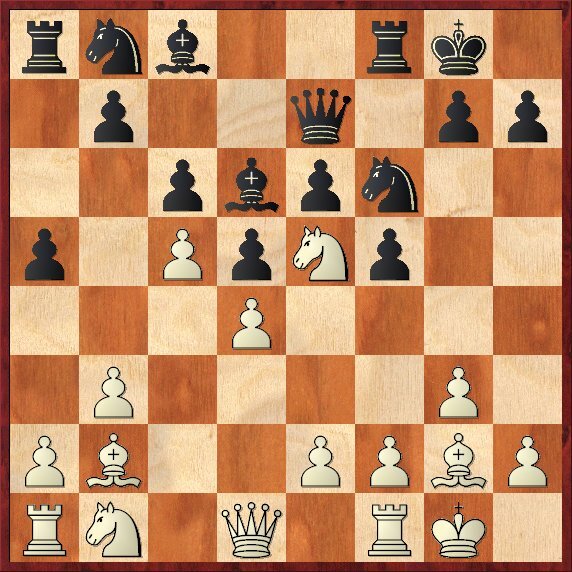 25.Rb1 Bxb5+ 26.Kd2 Rd8+ 27.Kc3 Bd3. Instead Black played Bxb5 and eventually got mated, handing the draw and the match victory to New England. So it goes. I am sitting in a coffeehouse sipping joe when an angry USCL (the chess kind) fan comes up to me to yell at me about this post. "Are you saying that the Nor'easters were lucky to have the best record and win the league championship?" I calmly quote the Fifth Tweet from the Prophet Bokonon. "Do not heed what on the internet you read." "Sounds like you are saying luck to me." "Look all around you- those little water droplets under a leaf, the lion's mane, my pinky finger digit. It's all luck, chuck." Here are some other players they didn't face: Bobby Fischer, Gata Kamsky, Alexander Onischuk, Magnus Carlson. Anatoly Karpov. 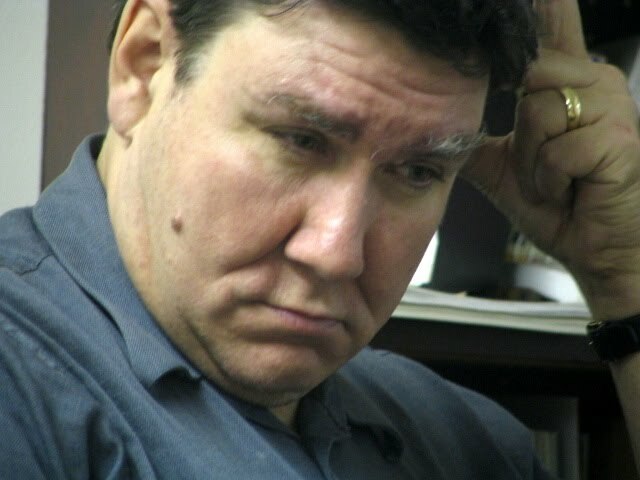 Jason Rihel. In the First Tweet of Bokonon, the Prophet, says, "It's all luck, chuck." I am leaving the Nor'easters vs. Miami Sharks Final early, for I am tired. I ate some pizza, the result is unclear. The forfeit win was a boost, but as I leave NE's Alex looks worse on Board 4 (He lost. So it goes. ), Sam maybe is at least a safe draw on Board 1 (He won. So it goes. ), and the Hungaski game is repeating the position and declining draws (He won. So it goes.) Could still be a playoff and a long night ahead. I walk home to my old apartment. I can see downtown from there, the solitary Prudential Tower cracking the sky. I still don't know the outcome of the New England match. Then I see Ilya Krasik, member of the perpetual #2 Boston Blitz, scramble up to the tippy-top of the Pru. He looks up at the heavens, thumbs his nose as a gesture of the pent up frustrations of watching the local upstarts take the prize, and freezes his body in place by taking the Ice-9. 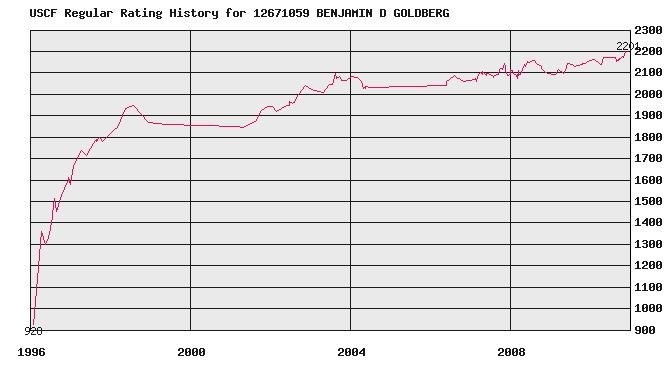 This weekend, at the 2010 Rhode Island Open, Ben Goldberg hit the magic 2201 rating, making him the latest area national master. The road was not easy-- he had to hold GM Ivanov to a draw in Round 3 and play two other master-level opponents to make this last push. Ben has been a long-time player in Boylston Chess Club events, so we would like to congratulate him on this achievement. Because of rule changes in the US Championship the Boston chess public has enjoyed the presence of Larry Christiansen at local tournaments at BU and the BCF. Last Saturday Larry won the $10 Open with four wins out of four games. Larry said he had to really work hard for two of those victories and it really cool to see the three time US Champ compete head to head with us locals. Thank you Larry hope to see you next week at the BCF. BREAKING NEWS-- NEW ENGLAND WIN USCL CHAMPIONSHIP! The local New England Nor'easters won the US Chess League Championship over the Miami Sharks 3-1. They were assisted by a forfeit win on Board 3, but Boards 1 and 2 pulled out convincing victories to solidify the result. In front of a pizza-eating crowd of about 20 people, the Nor'easters finished off Miami to end an UNDEFEATED record-smashing season. Fittingly, only the Boston Blitz managed to twice nick them for draws. But with this Finals win, the Nor'easters have managed to do what the Boston Blitz haven't quite done-- win the championship. 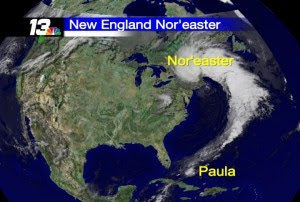 Congrats to the New England Nor'easters on a spectacular season. Saturday event UPDATE-- A generous donation means the pizza will be free! Following the final round of this weekend's $10 Open, the Boylston Chess Club will host a pizza party for the spectators that come to watch the New England Nor'easters take on the Miami Sharks. 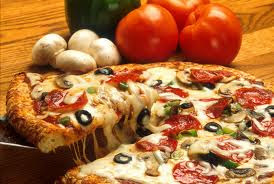 If you want pizza and drinks, we will ask for a small donation of a few dollars. To avoid interrupting the final round of the $10 Open, pizzas will arrive only after the final game of the tourament has finished (around 7PM). There will be food, drinks, commentary from several master level players, and high-quality games from the Eastern Champion New England Nor'easters. Come for the $10 Open; stay for the special event. Some of us may have cheated on chess with a Rubik's Cube last weekend, but this Saturday's full day of chess at the Boylston Chess Club in Davis Square is not to be missed! First, you can still use the Paypal button on the right panel to get the $10 rate for this Saturday's $10 Open. Sign up by Thursday to get the discounted rate. Also, starting at 6PM (the middle of Round 4), we will project the games from the New England Nor'easters vs. Miami Sharks US Chess League Finals in the Skittles Room. After the $10 Open tournament is over, we will move to the main hall. Come join us for an inexpensive chess tournament followed by live discussions of the remarkable US Chess League Final, featuring the local expansion upstarts, the New England Nor'easters! 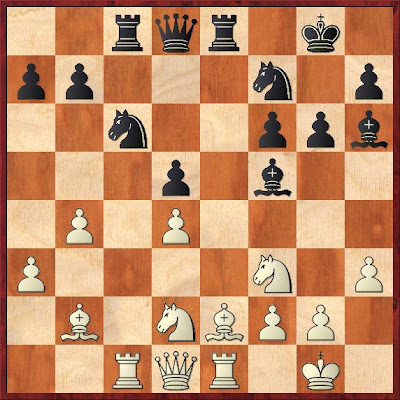 Support the Bolyston Chess Club webmaster Alex Cherniack on Board 4, the newly minted Boylston Chess Club Champion Chris Chase on Board 3, and the talented IMs Hungaski and Shankland on Boards 2 and 1! The Nor'easters have already had an historic run; come watch to see if they can cap that amazing season with one more win. Can a shark survive such a nasty storm? Stay tuned all this week for even more details for these events. Please notice that you can now "Like" individual blog posts on Facebook. Just click the buttons. Also, remember to join our Facebook Group page (link on the right). We are sending group members updates about upcoming chess events. There are lots of games to distract nerds from playing chess. One that interested me starting this summer was the classic puzzle, the Rubik's Cube. It comes in many forms, incuding a monstrous 11x11x11 cube! My brain hurts just looking at this thing. But the classic tournament event is known as speedcubing. The goal is simple-- solve the 3x3x3 cube from a random position as quickly as possible. When I saw there was a competition at MIT this weekend, I had to give it a try. Let me start by comparing the Rubik's Cube event to a chess tournament. There are some key differences. First and foremost is that the Cube events are more introspective than a chess tournament. In a chess tournament, you are playing against other people in a direct competition. In some ways, your performance in chess is dictated not only by the quality of your play but other over the board factors that you do not 100% control. For example, even very poor chessplayers have a somewhat reasonable hope of beating much stronger competition. How many players under 2000 do you know who have scalped strong IMs or GMs after their opponents have blundered or fallen into a bad position? I personally have lost to players rated more than 1000 rating points below me because of errors. When I sit down across from a GM or a player rated 1000, I have in the back of my mind the possibility that I could win or lose if the stars are aligned. In the Rubik's Cube events, you have ZERO delusions about where you stand, because the event is more like a race. I have many friends who can run marathons, but none of them have any hope of winning. Winning a marathon for most people is not the point-- personal achievement, gaining a personal best, maybe even just finishing the race and earning an official time is the goal. Because the goal is not really to beat the other person, in a race like the Rubik's Cube tournament, the goals are more aimed inward at beating your own goals, setting new best times. One way a chess tournament and the Cube tournament are similar: they bring together people with a common interest to share in that interest. I learned about new types of puzzles. Some families brought storage tubs filled with Rubik's cubes, pyramids, tetrahedrons, and snakes. It was really a lot of fun. So, how did I do? My personal best time is around 36 seconds, but I average much closer to 1 minute. My personal goal at this event was therefore to average 1 minute. 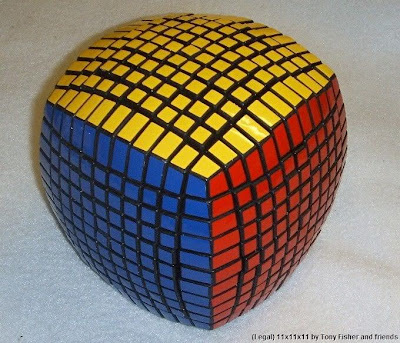 Here I am solving my first of five cubes. At 23.34 seconds, I am already off the pace to make the 2nd round. And here I am after my first official time: 1:36:43. In fact, my cube is off by one row, so I got a 2 second penalty added for a first official time of 1:38:43. The little boy judge says, "That was good!" I'm laughing because solving the cube in front of a room full of other people put me some 30 seconds off my normal pace! I didn't anticipate that this would matter so much. There is some comfort in knowing that my aged muscle synapses will never let me get even close to threatening the world record. But next time, I am going to average below 1 minute! Breaking News-- Nor'easters tie the Blitz, Advance to the FINAL! With wins from Hungaski on Board 2 and Cherniack on Board 4, the New England Nor'easters have advanced to the Final over cross-town rivals, the Boston Blitz! Winning the regular season proved crucial, as their draw odds made the difference in this one. Stay tuned for a recap and a preview of the Final, which is scheduled for Nov. 20th at 4:00 PM. UPDATE: Miami wins the West! New England vs. Miami in the Final! The 16th annual BU Open 2010 was held on Saturday, Nov 6. It was an overcast New England autumn day, but the glass windows of the BU student union backcourt venue allowed allow some natural light through. The playing area had just been renovated this past summer - along with the food court, and so provided a pleasant environment for the tournament. 107 players participated –a record turnout for a BU Open (Open = 36, U1900 =35, and U1600 =36.) The Open section was strong with 9 masters, 5 FMs, an IM (Hungaski) and a GM (Christiansen). One of the most enjoyable features of the tournament is the number of chess friends who return year after year. Alex Kurjatko (a former BUCC president) took a break from his 4th year medical school internship in NJ to come up and play. And Barry Lai (a former BUCC president) emailed me at 3:40 in the morning saying he needed a 1st round bye to get some sleep, but still made it. Frank Frazier broke with his Monday Night BCC mostly tradition to play. Tony Cortizas put down his camera and picked up the pieces in his first time playing in the BU Open. 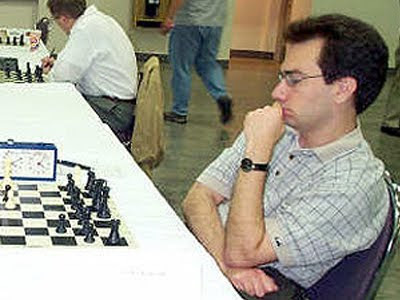 Mike Griffin continues to come to our event after he broke a 19 hiatus from playing chess (while raising his family) to resume playing chess at the BU Open years ago. Harold Dondis supports us year after year - his step is lighter, his hearing softer, but his game is sharp sharp sharp. Tony DiNosse took a break from caring for his hospitalized father to play. Prof Timothy Sage from Northeastern (the champion of the 1st BU Open in 1995) was persuaded to play again by the 8 man group from the NE chess club. Bill Kelleher returned again this year and won his fifth title. I could go on, but you get the idea. … And of course, there were new faces – ten people played in their first rated tournament. Contingents came up from Connecticut and down from Maine (or is it up from down Maine). This is one of those gatherings of the chess community that many of us look forward to and enjoy. Bernardo Iglesias, one of the premier TDs in New England, did an admirable job again this year and continues to be a major reason for the smooth flow of the event. We paid out over a thousand dollars in prizes and still raised some money for entry fees for BU teams in the Amateur Team East – thank you all for that support. Note Bene: The BCF helped make the event possible by sponsoring it under its affiliation with the USCF. 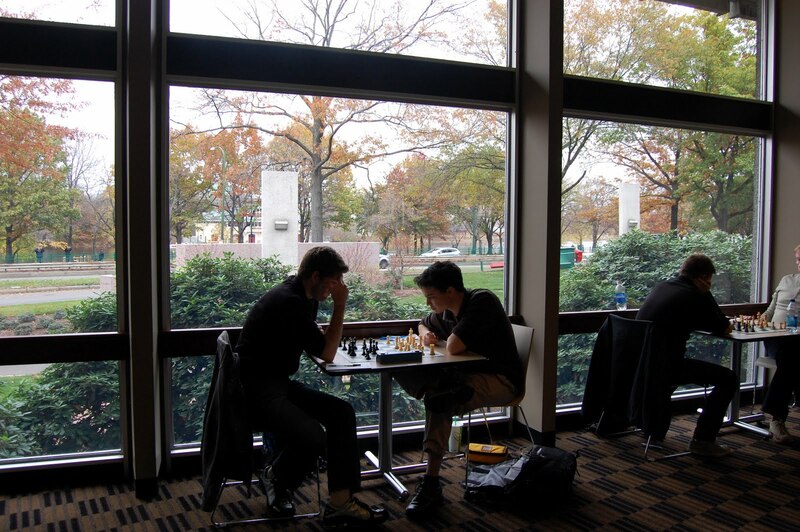 The BU chess club is grateful to the BCC for all its support to BU and to the greater Boston Chess community. Results are summarized below, and you can visit USCF for the complete crosstable. * Andrew tied for 1st/2nd, but earned the higher U2200 money. ** Barry contributed his winnings to the BUCC. Thanks. *** Lino entered as unrated and so could not get the class prize with Eduardo. I also shot some pictures – view them here. 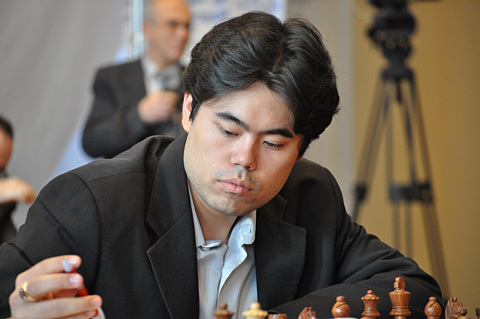 Although not official, a US player, GM Hikaru Nakamura, has broken into the unofficial FIDE Top 10 list. With his quick start at the Tal Memorial, he is now #10, just ahead of Radjabov, Wang Yue, and Boris Gelfand. As far as I know, this hasn't happened since Kamsky. Gata Kamsky was a Top 10 player reaching #4 in the 90s. Of course, Kamsky emigrated to the US already an accomplished chess player as a boy , but Hikaru was 2 years old when he first came to the US. That makes Hikaru the first US-trained player to break the Top 10 since Bobby Fischer. I think Larry Christiansen once broke the top 30, but that would be the most recent American player to get even close.... can anyone confirm that? Correction: Yasser Seirawan was #10 in 1990 (see comment section). He was also US trained. Unfortunately, moving farther up the list will require big improvements; there is an interesting gap of almost 20 rating points between #9 and #10, and only 3 points between #10 and #14! And of course, not only does the rest of the tournament still have to be played, but the official list also will not be out for some time. A lot can still change. Sign up now for the $10 Open, using either the Paypal button below or the button in the right-hand panel. Be sure to include your name and USCF ID#. including a strong open section. It should be a good day for chess. Email your entry by Friday and save $10. Parking is across University road just before the BU bridge on the same side of Comm. Ave. as the George Sherman Union. You must pay the attendant $6 for the day. GM's, IM's, and past winners of the Open Section play for free. In the Semi-Finals of the US Chess League! The Boston T-Party is here. Stay tuned for all the heart-stopping details.